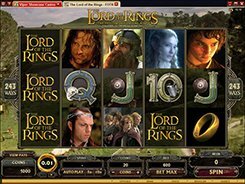 LOTR: Fellowship of the Ring is a fabulous 5-reel slot from Microgaming based on the same-name film that hit the screens in 2001. 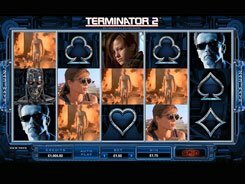 Most symbols used in the slot are photos with the protagonists from the film, so fans of the trilogy can enjoy fun, great atmosphere and feature-packed gameplay. 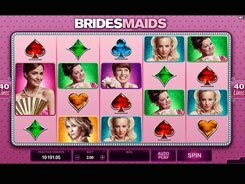 The developer has employed a tried and tested 243 ways to win model in the slot. 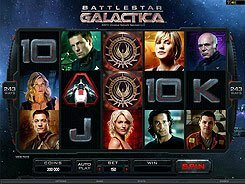 Besides, you can benefit from free spins, stacked wilds, expanding wilds, to name but a few. Before any spin, you can adjust a coin value ($0.01, $0.02 or $0.05) and the number of coins per line (up to 20) placing a stake anywhere between $0.3 and $30. 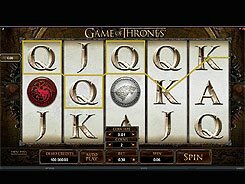 Regular symbols pay out up to x400 times a bet if five land on adjacent reels, but the biggest loot might reach a breath-taking 1,900,000 coins during a round of free spins. 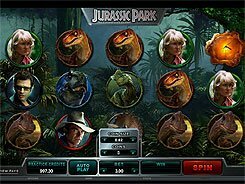 In any game mode, Gorlum may appear randomly in front of the reels searching for his ring and award you with a random cash prize. 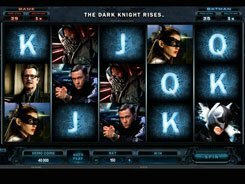 Offering an array of features and staying true to the film’s original outline, FOTR is a slot that you should definitely give a try. PLAY FOR REAL MONEY!